17917 SE 107th Court, Summerfield, FL.| MLS# 542411 | Spruce Creek Realty...Retirement Communities in Florida, Resale Homes In Spruce Creek South, The Villages, Stonecrest, Del Webb. Absolutely perfect, completely furnished with all accessories including TVs, linens, wall decor and all dishes and kitchen appliances. Only seller's personal items are excluded from the sale. Updated Kitchen cabinets and countertops, Den off of dining room adds 240 sq. ft. of living area. Property has a 10x11 Golf Cart Garage (or use for storage) plus the 16x24 one and a half car garage. The heat pump was replaced in 2012 and the roof was replaced in 2004. 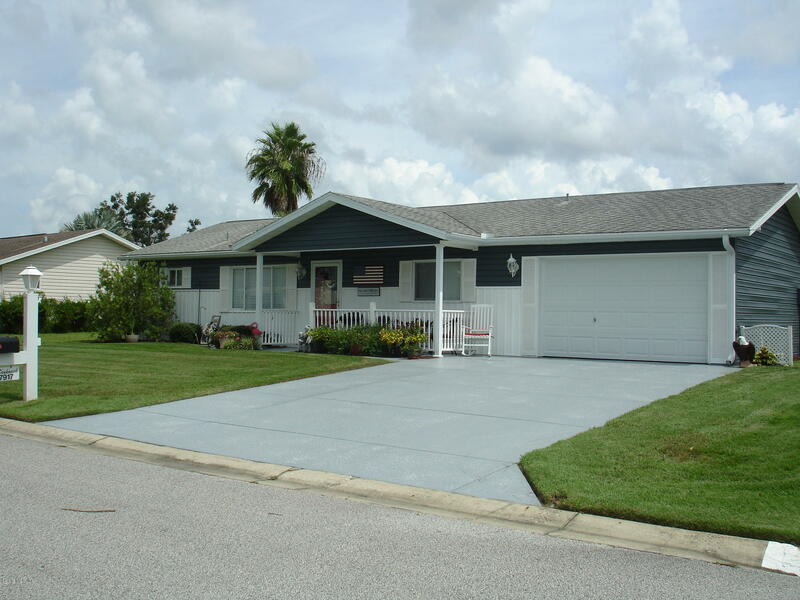 Recently painted exterior including sidewalk-front porch and driveway. Too many upgrades to mention. A must see.